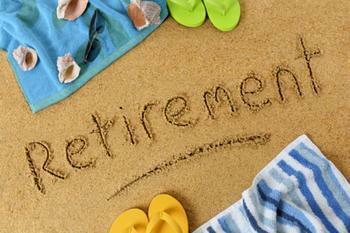 In previous generations, Florida and Arizona were the most popular retirement destinations. After 30 years or more in the same job in a northern climate, many Americans looked forward to sunny skies and warm weather. But things may be a little different now. When personal finance site Bankrate.com measured all the states against a set of criteria that should be important to people in retirement, states you might not think of as retirement havens showed up at the top of the list and states you might think would be near the top weren't. Researchers looked at eight factors that includes the cost of living, quality of healthcare, the crime rate, cultural amenities, weather, the tax rate, how seniors fared in the state, and the prevalence of other retired people. Measured against that set of criteria, snowy New Hampshire came out on top. No, its weather is not exactly a strong selling point, but it scored very well in the other categories. It appears to be a state that is particularly hospitable to its residents over 60. Colorado was the second best state for retirement, followed by Maine, Iowa, and Minnesota. The absence of any Sunbelt states in the top five suggests weather isn't the retirement factor it once was. In fact, the Bankrate editors slotted Arizona at number 12. Florida was 17th, earning points for having the highest population of seniors in the nation, but for little else. Nevada, another mild weather retirement destination, placed near the bottom, at 44th. Alaska came in last, but not for the reason you might think. Yes, it's very cold in the winter, but the state was dragged down by its high crime rate and high cost of living. You can check out the complete rankings here. The study surveyed non-retired adults and found about half would consider relocating once they stop working. Interestingly, the farther you are from retirement, the more likely you are to say you'd pack up and move. About 58% of Millennials are open to moving, but just 37% of Baby Boomers and 12% of the Silent Generation want to think about relocating. Bankrate.com analyst Claes Bell says the study just illustrates the changing concept of retirement. "What people think they want in retirement may not end up being what serves them best over the long run," Bell said. "It's about a lot more than sunny skies, beaches and golf courses. As you get older, practical considerations like healthcare, taxes and proximity to family and friends become much more important." And after spending decades in the same house in a community where they have roots, many retired people are opting to simply stay put.